Author: Nick Chinn aka @NRCUK and affectionately known as "We IT"
This is a 3 part series to help #MyWe users get the best from the 3 features it offers to help you get the best from being in the tweeting WeCommunities. Use these guides to improve your tweeting techniques by learning about earning badges, who you tweet with and how you use tweetchats for CPD. 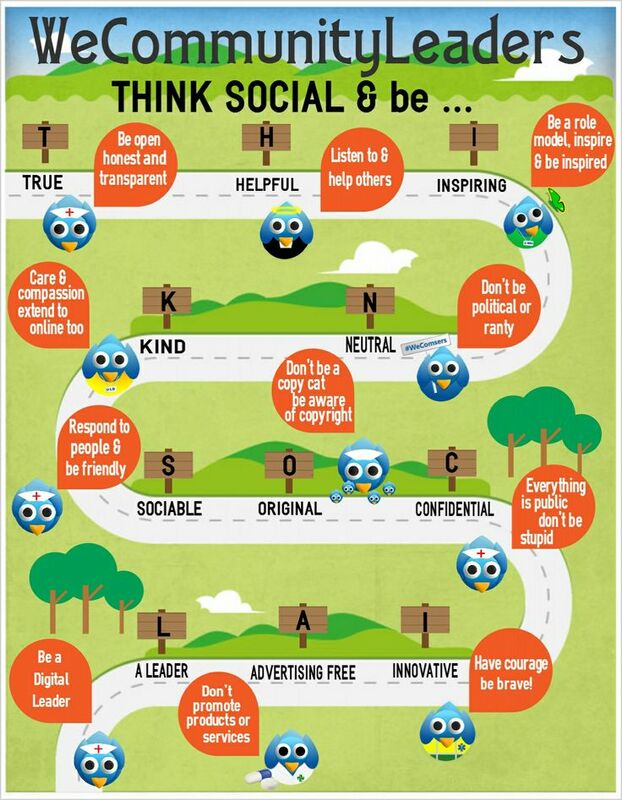 The ABC’s of doing Twitter well was created by WeNurses founder Teresa Chinn and WeMidwives co-founder Jenny Clark, this simple but effective break down of a hand full of As Bs and Cs is an invaluable sharing from these two passionate and experienced nursing and midwifery tweeters. With the “We” community leaders now 18 strong and soon to grow we felt that it was time that we set out some guiding principles by which we want to lead the “We” Twitter communities. We felt that we should share them with you as not only may they be of interest but also they may be of value to you. As this is Social Media and we clearly don't advocate long boring documents our guiding principles are set out in the short, sharable and sociable infographic. The what, when, how, why and is it important guide to "trending on Twitter"